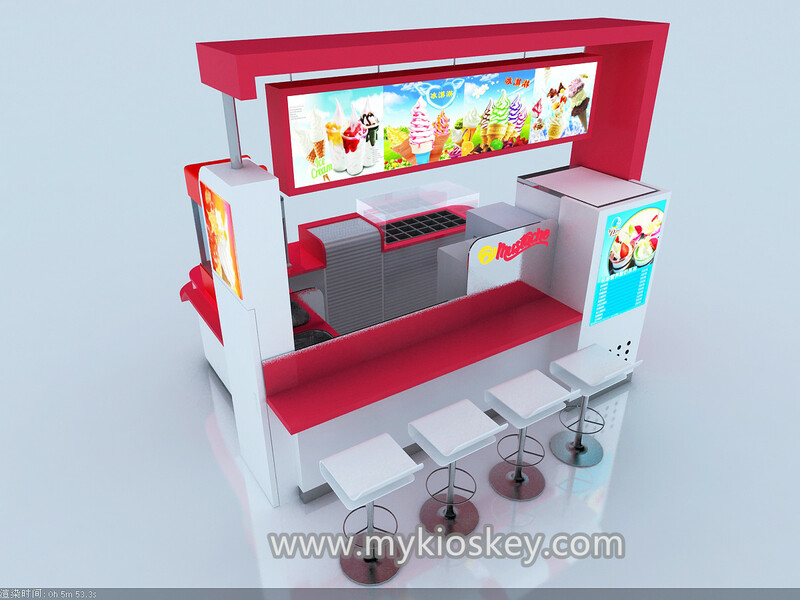 Material : MDF. 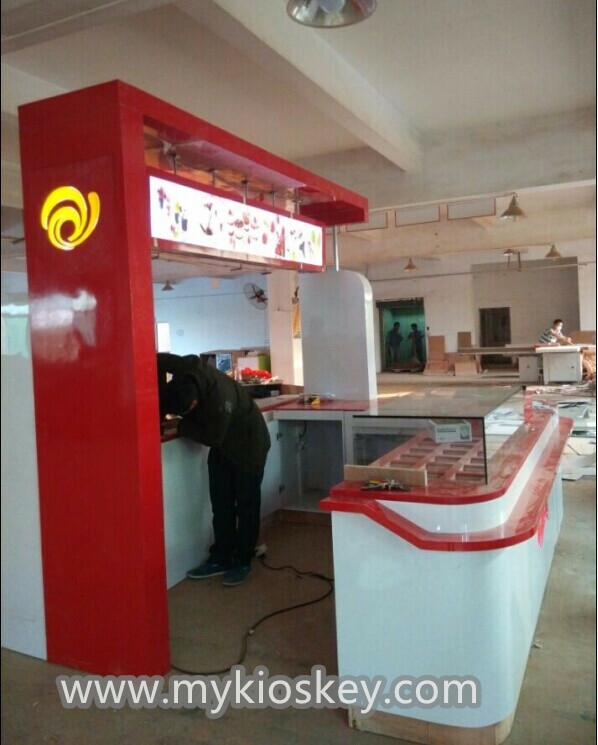 tempered glass, stainless steel. Surface : white and red paint finish. 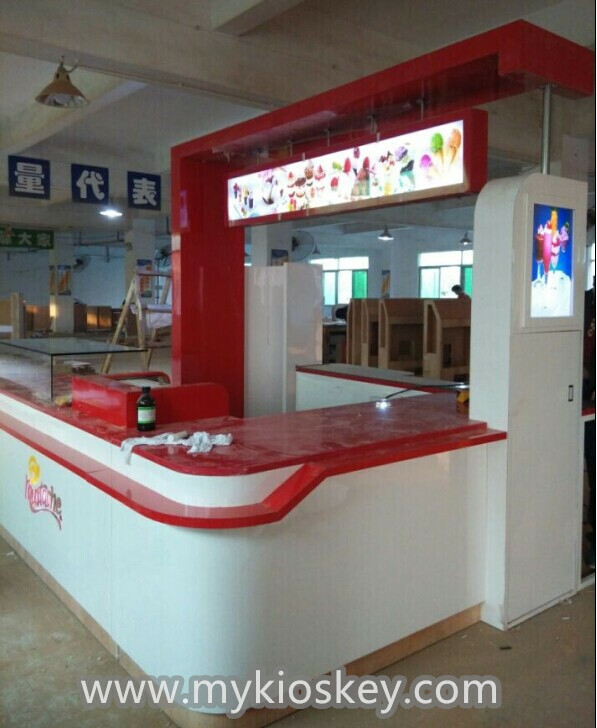 Equipment : sink, refrigerator, topping, frozen machine, juice machine etc. 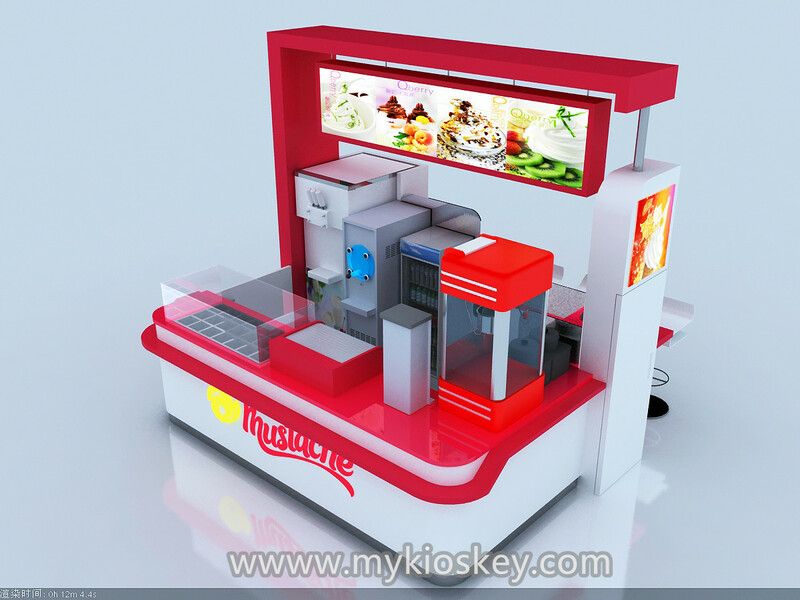 Usage : for selling ice cream , frozen, juice, coffee etc. step 5:Deliver the goods after the picture taken for you to confirm. Email , confirmation, and balance received. 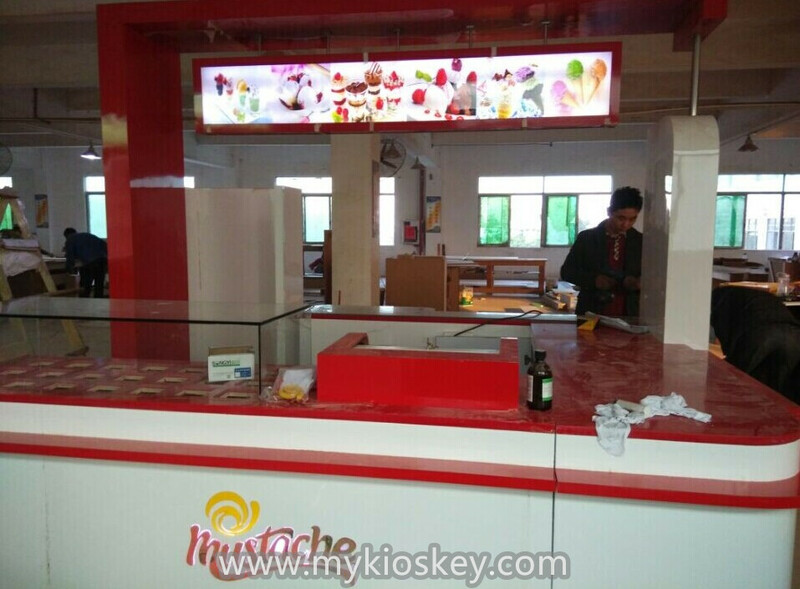 Clients can check goods before delivery if have agent in china. 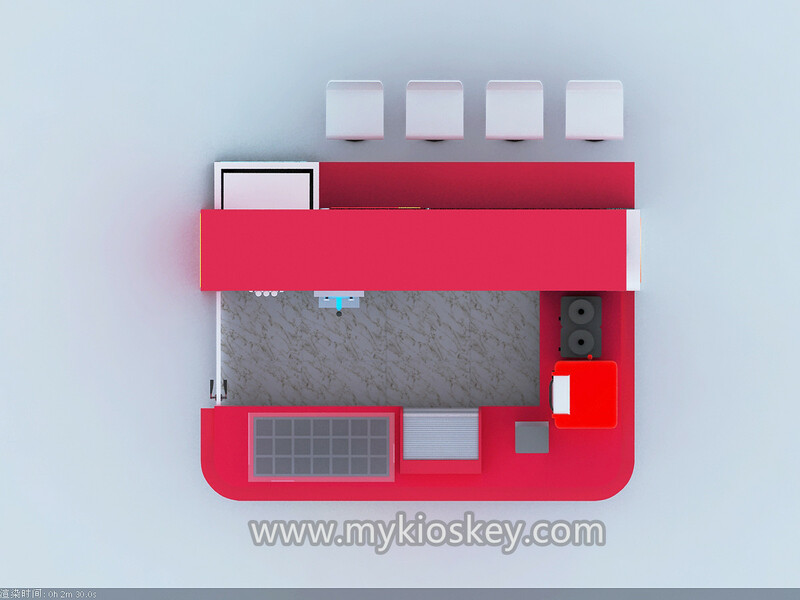 4.We will keep secret for customer sale area, design ideas and all other private information. 5.we always patient and kind-hearted ,warm to answer all the questions you have. 6.we are a good team with responsibility and sincerity,so you can believe in us! 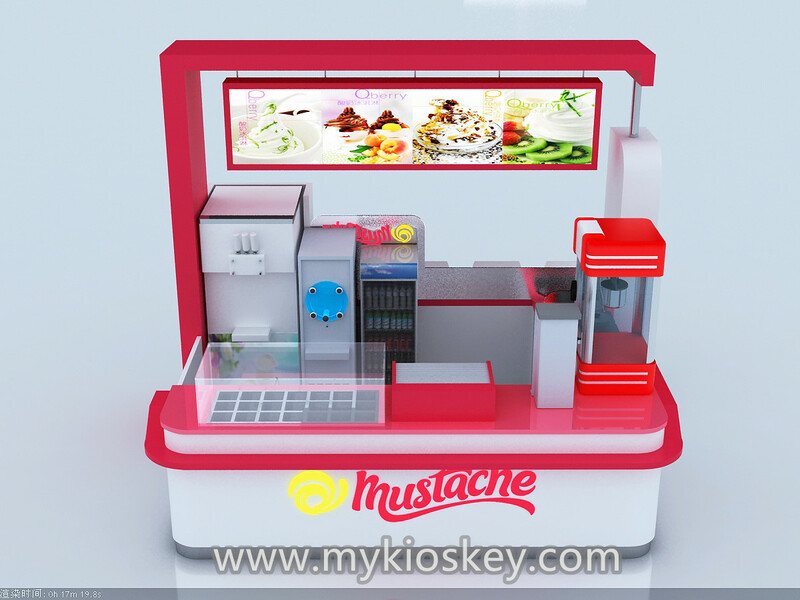 Thanks for your time and looking forward to your inquiry about our food kiosk, if you interested build a food kiosk like this one, pls contact me as below.